This is a very pretty Art Deco squat bowl. 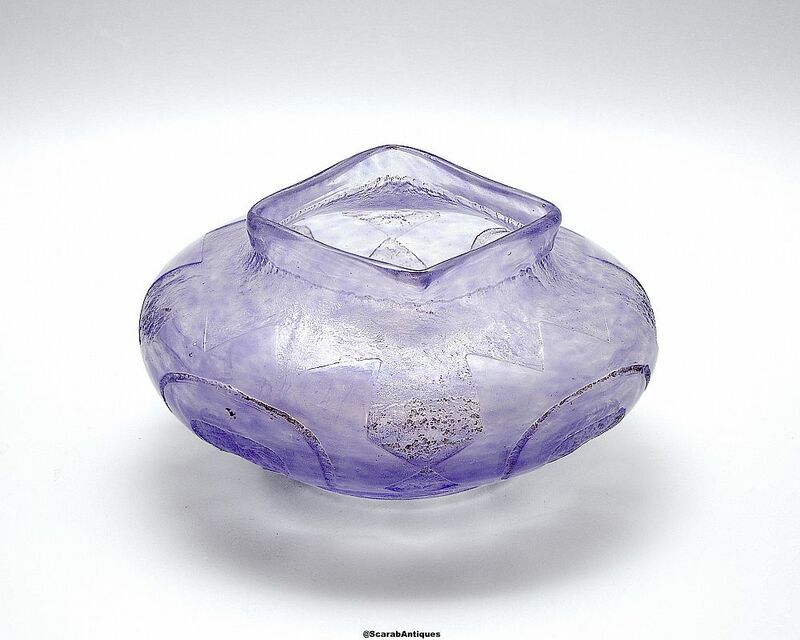 It is in mauve with an acid etched geometric design on the body of the bowl below a square top. 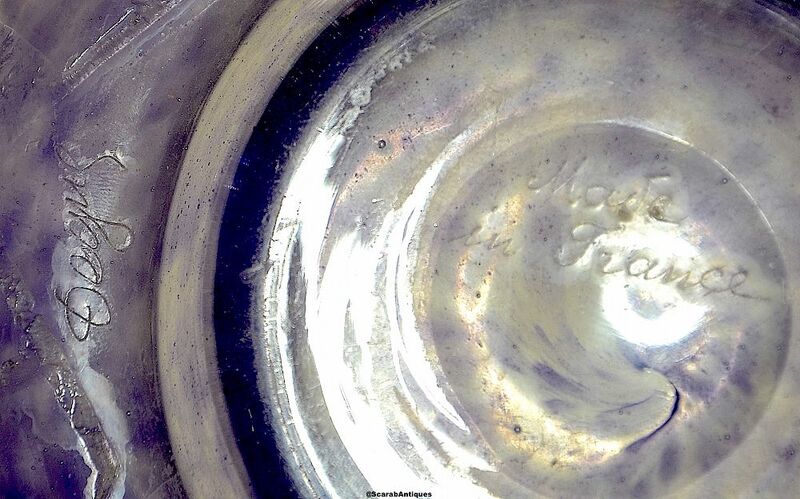 The bowl is signed "Degue" on one side above the base and "Made in France" on the underside of the base.